The word ‘Chaturanga Dandasana’ is comes from Sanskrit, in which the meaning of Chatur is “four”, Anga means “limbs”, danda means “staff” and meaning of Asana is seat, pose or posture. In this pose our both hands and both legs are used so that’s why this is called four- limbed staff pose and also known as low plank pose. In this Chaturanga Dandasana you have to keep your body parallel to the floor and which is supported by your toes and palms with elbows at a right angle but not touching the floor. Chaturanga Dandasana looks much like a push up pose, but with the hands very low (simply over the pelvis), and the elbows kept in at the edges of the body. Keep your arms fully extended and keep your spine completely erect. Breathe out, bend your elbows and keep down your lower body towards the ground but not touching it, stop at a point when you are few inches away from the floor or ground. Keep your body parallel to the ground and your hips ought to be straight. Turn your legs inward during this position. Keep wide space between your shoulder blades. Your elbows ought not be spread outwards but rather be pushed back downwards towards the heel. Assure that your neck is adjusted straight with the rest of body and press the base of your forefingers to the ground. Remain in this position for around 10-30 seconds and after that breathe out and rests gently on the floor. Repeat this process for 3 to 6 times. If you are unable to attempt this Asana properly, in that case you can keep your knees on the floor. Strengthens Arms, wrists and abdomen. Beneficial for those people who are suffering from back problems because it strengthens the back muscles. Boost the flexibility, balance and stability. Makes your triceps and biceps strong. Gives strength to the muscles of the wrists. Gives strength to the core abdominal muscles. NOTE: – Pregnant women and people having wrist injury or in case of carpal tunnel syndrome avoid this. 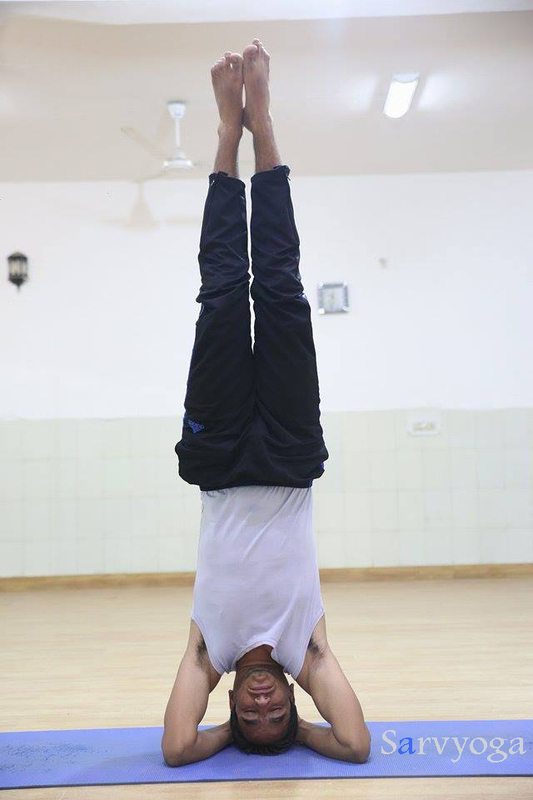 Do yogic activities in proper way under the supervision of expert.